With nearly 30 years of experience, Stickney is charged with elevating the golf training program and curating the golf lesson curriculum within the world-class and award-winning Jack Nicklaus Signature Golf Courses — Pacifico & Bahia both 18 hole Championship courses, with Pacifico also featuring the world renowned Tail of the Whale hole 3B, the world’s only natural island hole. Throughout his career, Stickney, named a Golf Magazine “Top 100 Teacher” since 2005, has trained more than 250 PGA golf professionals through his ongoing professional seminars. Most recently, Stickney served as the Director of Instruction at Bighorn Golf Club in Palm Desert California where he directed a team of teaching professionals as well as managed Bighorn’s high-performance Golf Learning Center. Additionally, Stickney served as Director of Golf Instruction at world-class golf clubs such as The Club at Cordillera, The Promontory Club and others. Among other accolades, Stickney has been named among Golf Digest’s “Best Young Teachers”, “Top Teachers Under 40 Alumni” and “Best Teacher in the State of Florida, Colorado and California. Shane comes from Kemper Sports, where he spent many years in leadership positions at properties around the US and Mexico. Shane spent 2+ years as the Director of Agronomy for all Vidanta golf properties, overseeing the growth on the Greg Norman course and the new par-3 course in Nuevo Vallarta. He has extensive experience and will keep the courses in pristine shape for all Club Punta Mita Golf Members and guests. The Punta Mita Golf Club is exclusively for Punta Mita homeowners, those renting a Punta Mita residence, and guests of Four Seasons Resort Punta Mita and The St. Regis Punta Mita Resort. it features well-appointed men’s and women’s locker rooms, a pro shop and the Tail of the Whale restaurant and bar. And on the course, the club’s staff is there to provide anything from a cool scented towel, to cocktails, or a delicious snack or meal. Club Punta Mita offers an unparalleled combination of community, connection, friendship and amenities set against Punta Mita’s stunning natural beauty, making it an idyllic location for the club’s acclaimed golf courses. And making it more fabulous is all the amenities including four private beach clubs, tennis and fitness center, boutique shops, outdoor activities center, spa services, world-class concierge services and a brand new full service hospital. Punta Mita is in the midst of carefully planned expansion, with several new destination amenities enjoyed by Club Punta Mita members. Recent openings include the Sufi Ocean Beach Club and adjacent fabulous Sufito restaurant on the water, Kupuri Beach Club, Navi Spa, Coritas Kids Club, and the Punta Mita Ocean Sports Program. 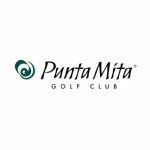 If you have any questions or would like to feature Club Punta Mita, please reach out for more information or additional pictures of the fabulous golf courses or Punta Mita.